Do you want something original or do you have special requirements or comlex space? 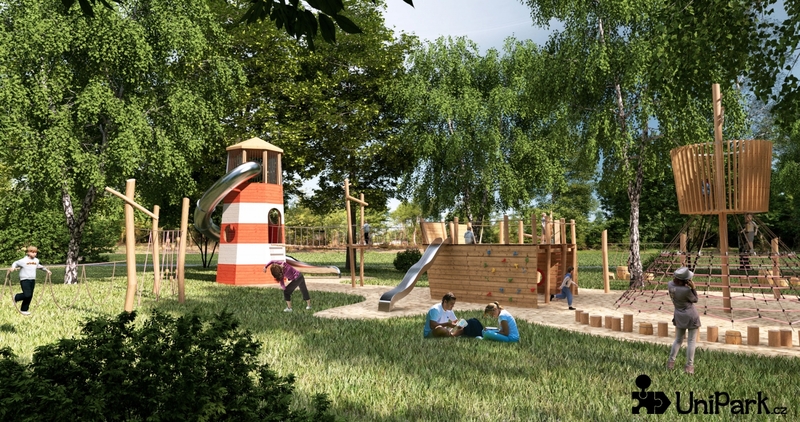 We will create playground for children tailored for you. 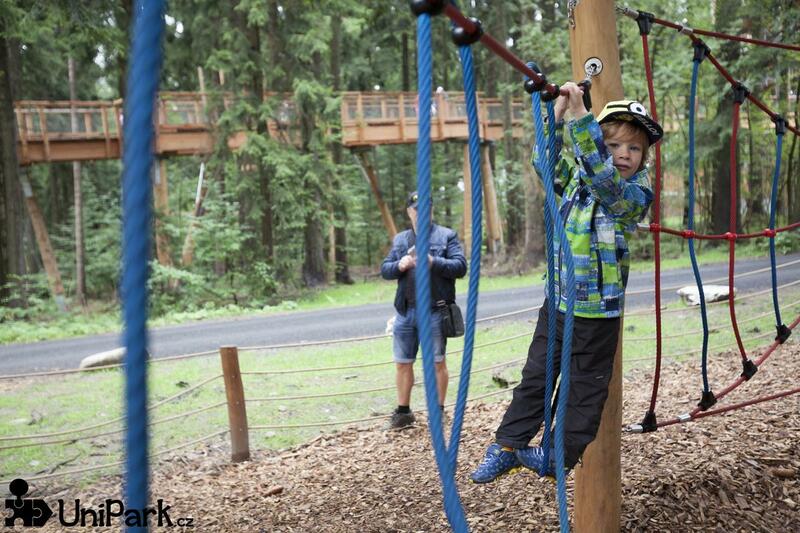 Offer children enjoyment adventure, discovery, create and possibility to fight the challenges in a safe enviroment. 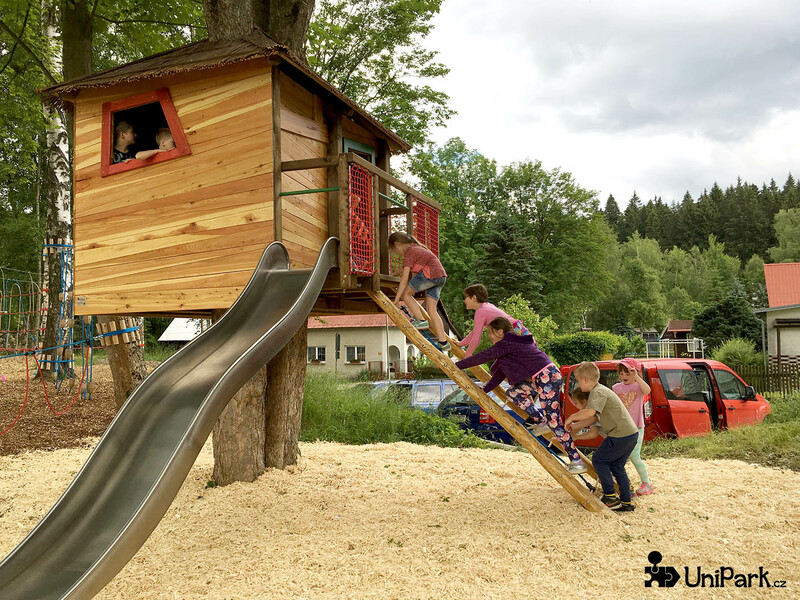 Build playground of the dreams for children! Contact us! 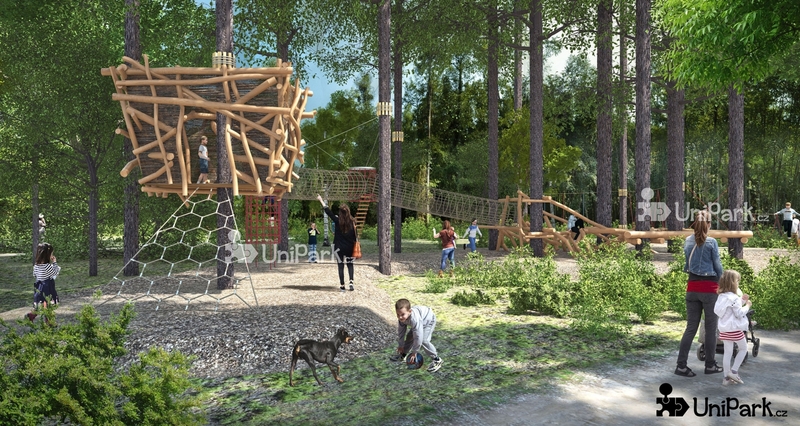 Game elements into a wood or to a city park. 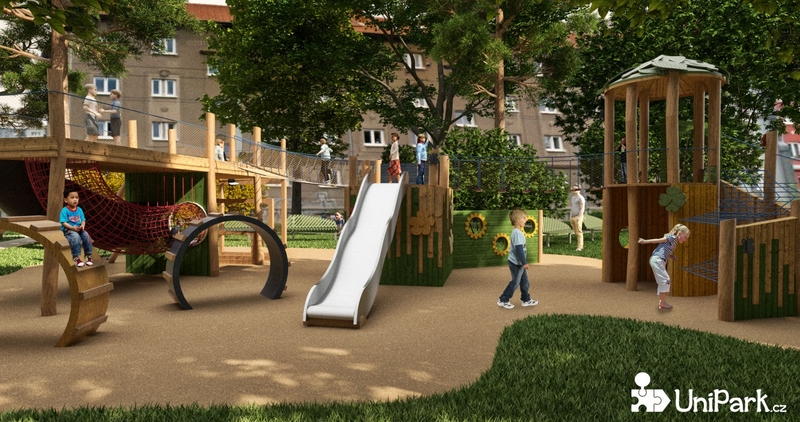 Playground in natural style for schools and kindergartens. Stay in touch with nature. 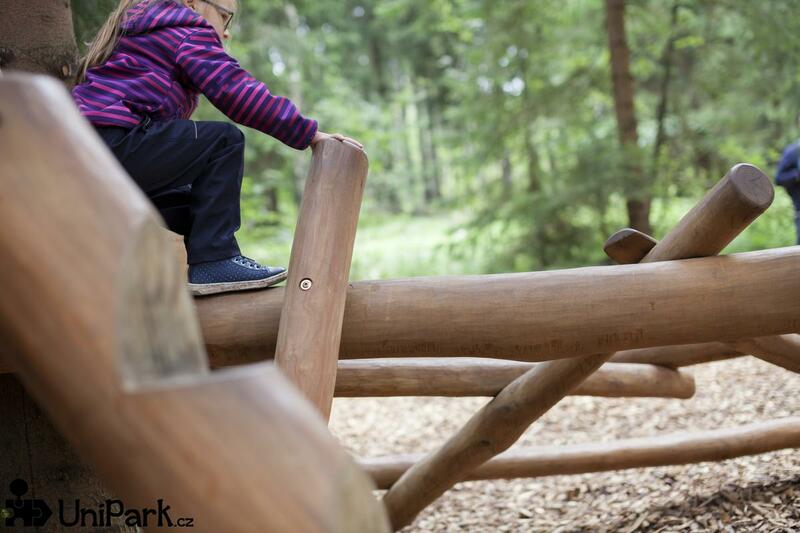 You can find more informations on a page dedicated to Forrest playgrounds. Playing in water is most favourite during the hot summer. 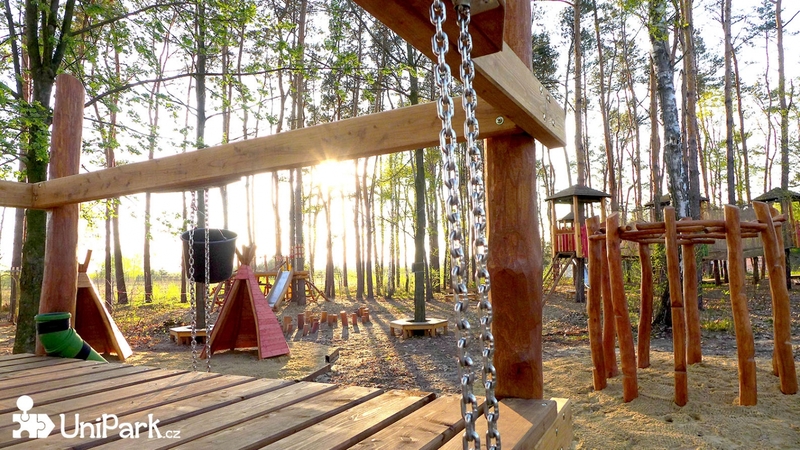 These playgrounds can be fitted to forrest or on a square. 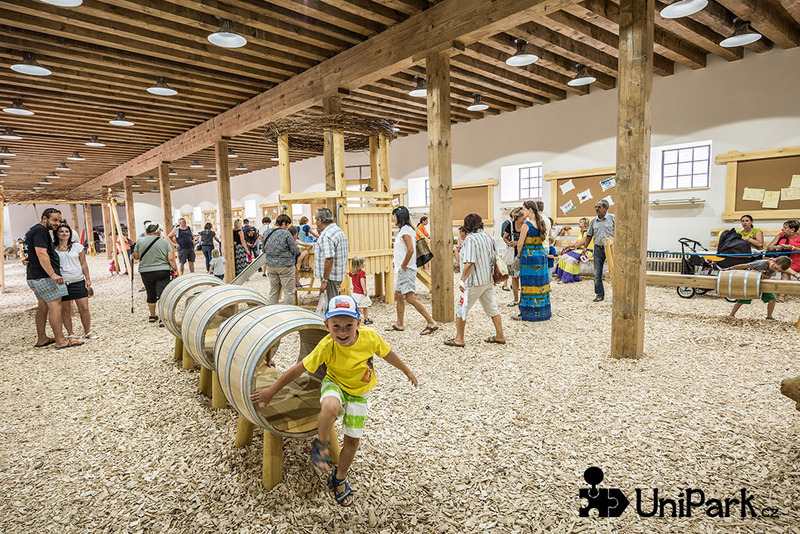 Water world built from wood, steel and stone, with which the children will immediately fall in love. Water is a beautiful element, which will bring life to your playground. 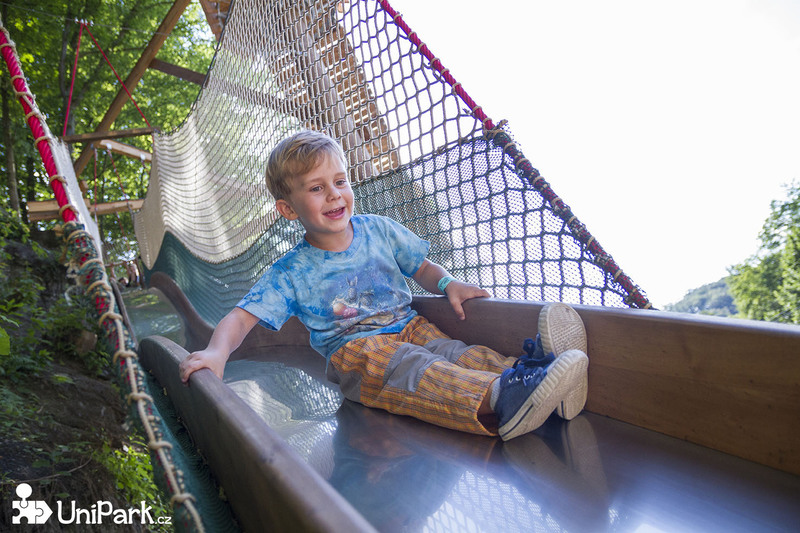 Sandbox does not have to be only about building castles of sand. With sand one can try many things, which entertain school kids as well as adults. 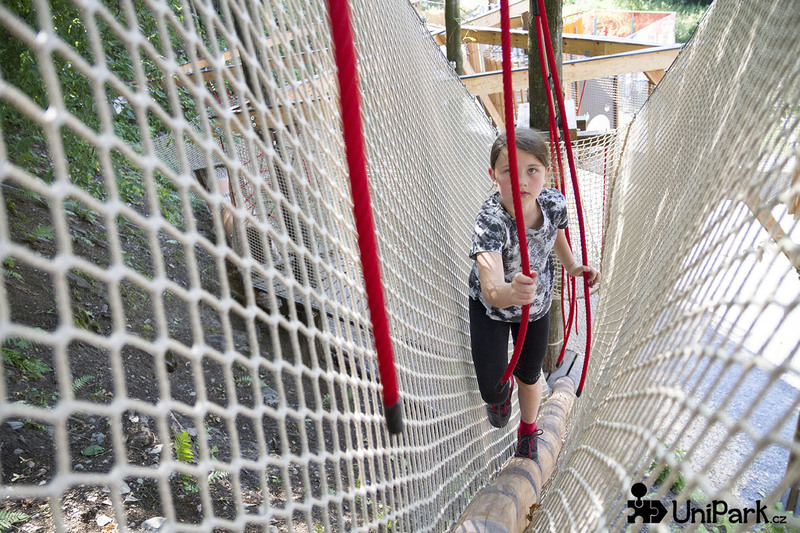 Climbing, jumping and balancing on many different rope obstacles. Training of strength, endurance and dexterity. Among the trees or pillars. In city or forrest. 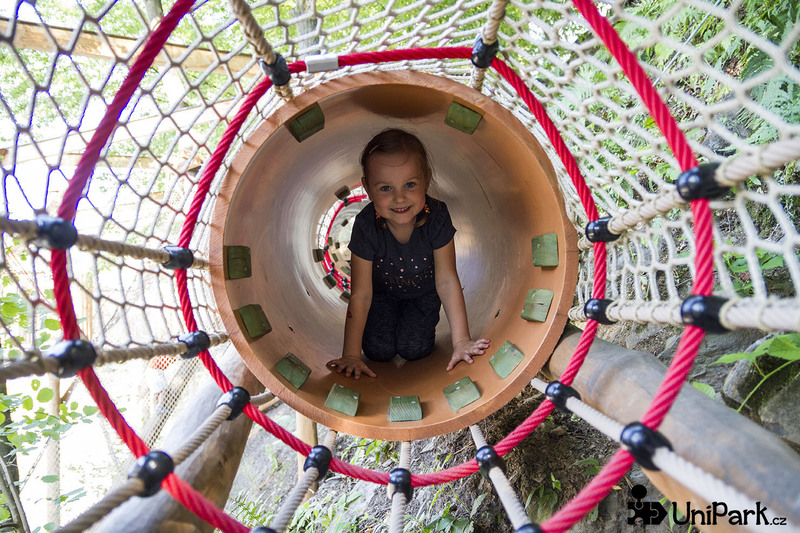 During design and construction we follow required norms ČSN EN 1176-1 (Children playgrounds), ČSN EN 15567-1 and ČSN EN 15567-2 (Rope courses and ziplines) and all relevant decrees. 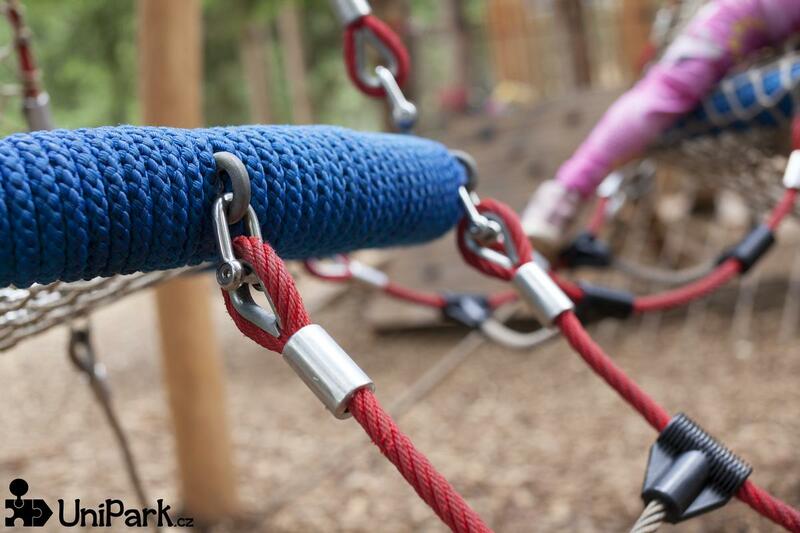 All of our constructions are certified and secure.